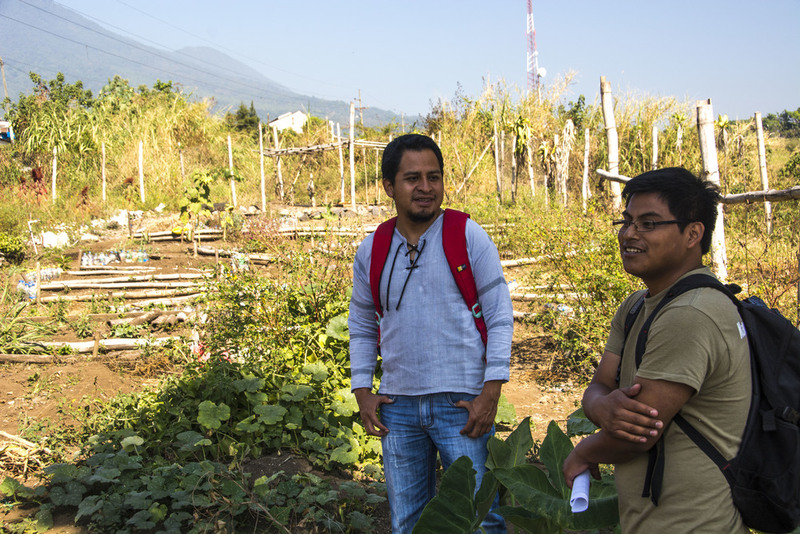 The Coffeelands Foundation is excited to be working with Pueblo a Pueblo on their Organic School Gardens project in Guatemala. 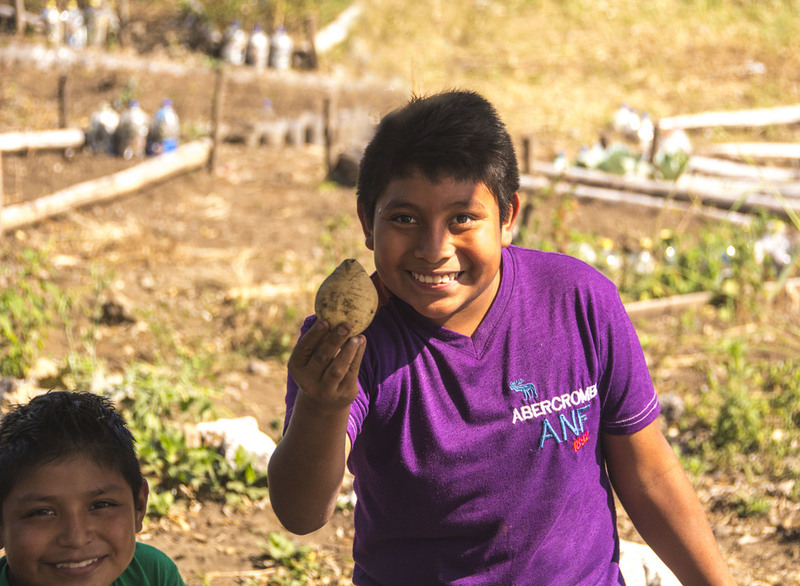 The goal of the project is to educate every child about food, inspire families to grow food again and empower communities. We recently visited a couple of the garden projects (out of 11 in the region). This was the beginning of the school year for the Nueva Vida School and the planting hadn't started yet but the students were at work preparing the beds for new planting. They harvested over 400 lbs of produce from this garden. Here are some pictures of the gardens and the school. Pueblo a Pueblo shared some harvest and food preparation photos - and the most important part....eating!!! Student with Sweet Potato. In the garden at Nueva Vida School, San Lucas Toliman, Guatemala. Hony Julajuj, Organic School Garden Technician and Elder Jacobo, educator for the Garden project - part of the Pueblo a Pueblo team. Hugo, 6th grade teacher at Nueva Vida School. He also farms coffee and corn and now plants chilis and cabbage with his new gardening skills. Hugo showing us the meter deep compost made from coffee pulp. This will be used as potting soil for the new garden seedlings.